When we started playing with betterize.it - a fun new way to a better you, one new habit at a time - we thought of Near Field Communication (NFC) as one of the technologies that would make tracking things done (or not done) super easy. After researching a bit, we got our tags kit, built a simple habit/goal tracking android app (new android phones come with an NFC reader included) with the help of Genexus and we headed to the real test: we started to be the guinea pigs. 1. My am and pm meditation. My goal was to do a simple mantra repeating meditation at least once day for 15 to 20 minutes, and ideally twice a day. 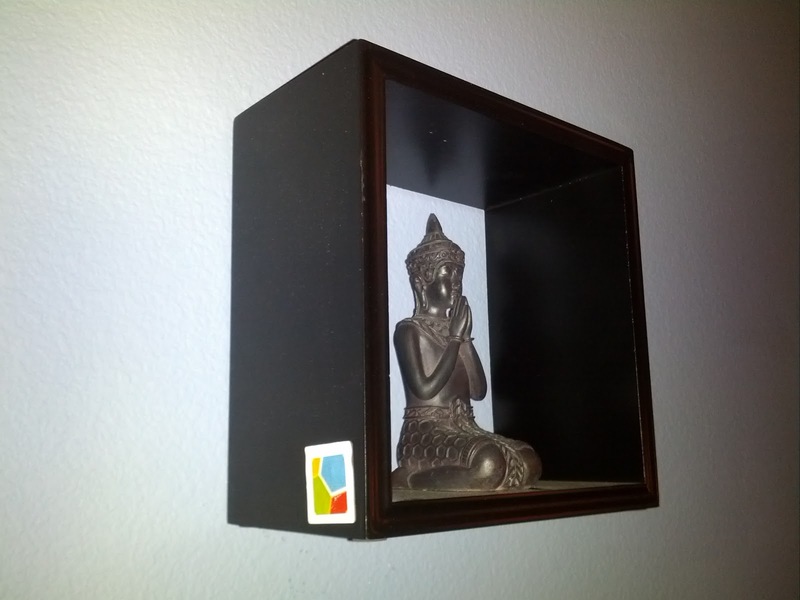 I tagged one of the NFC stickers by my little Buddha statue right behind my meditation space. 2. I wanted to try and drink more water daily, I measured my bottle I water refill all day long and it was 16 fl oz. 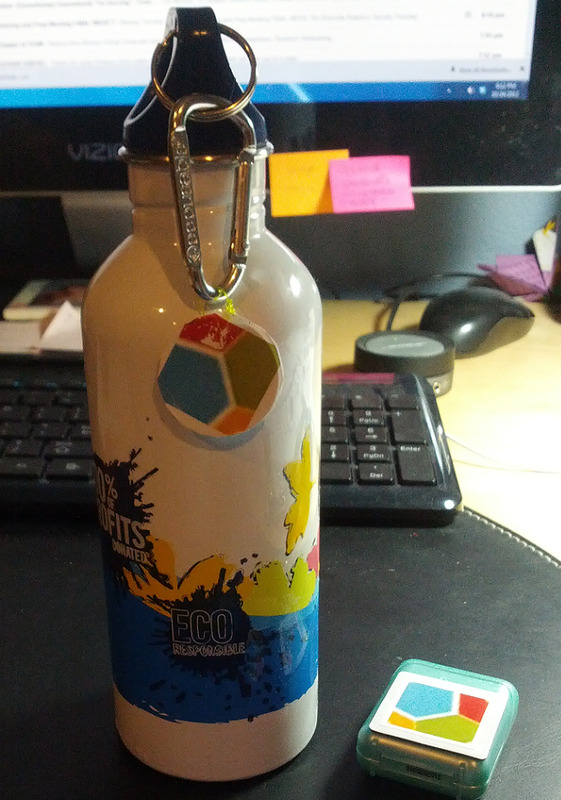 I attached a little NFC tag to my bottle. 3. With flossing my goal was to be more consistent on at least one daily floss, even when I wasn't too far away of my goal, at this time it was NFC euphoria, so I needed more places to stick my NFC tags! After programming all the tags with urls matching each of the habits the experiment begun. What I discovered, surprised me a bit! Not only I was doing the NFC checkins (as betterize.it calls them) very often without almost missing any events, but I was enjoying doing them. I couldn't wait to hear the next "ta-da!!" that the system did every time it read a tag successfully. It was like I found an extra unexpected reward on getting things done. 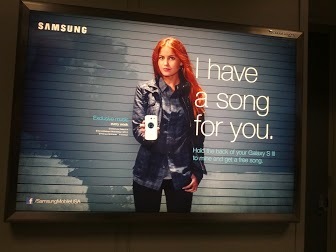 NFC is pure magic! Seamless, frictionless as could be, we were increasingly excited. We were ready to start our kickstarter project and ask the people: do you dig this NFC habit improvement thing? At the time I wrote this, they were very close to reaching their goal, and in the process they went from a great idea with bad design to a great cover approach design that made them into a winner. They expect to deliver their NFC reader cover for iPhone 4/4s around March 2013. A world of possibilities is coming, with everybody on the same page regarding NFC, magic will happen all over with their chance of becoming mainstream. Replacing paper tickets, logins to systems, alive ads, posters in the streets, stadiums that give you media, and all the other good things people will think about when this starts being a reality. Um... why not put your app on Google Play? Sounds awsome!